Message from Director of Education – Budgets – Please support! Many thanks to you all for your support when we launched our #BackTheAsk campaign and the Local Government #OurDay celebrations on 20th November . Apparently the #Our Day trended 1st in the UK and 4th globally so that was an excellent showcase for the vital work of local public services. 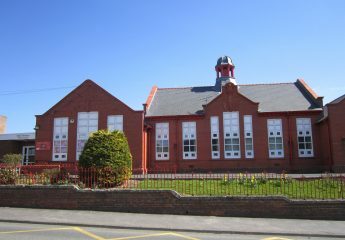 The Cabinet Secretary has also announced a change in the intervention rate for the 21st Century Schools building programme from 50:50 to 65:35 (and 75:25 for ALN and PRU) which significantly helps the borrowing pressure on the Council and makes our programme of school modernisation more affordable. Whilst there is no specific mention of how the teacher pension increases will be funded, there is a growing confidence that this will be funded at a UK level. These announcements mean some good news, particularly for 2018-19. On the basis of the additional money we can expect to receive, the Teachers’ Pay Award for 2018-19 will be funded in full and schools will not need to absorb any costs pressures. However, whilst these funding announcements are welcomed, at the moment we calculate that for 2019-20 schools are still facing a 1% pressure in terms of the teachers’ pay award. Our position, and that of the Welsh Local Government Association (WLGA), is that Welsh Government still has unallocated funding that they could be using and that Education has to be the remaining top priority. Other than the announcements on pay, there is no real acknowledgement of the pressures on Education and that funding is just insufficient. As you know, we have already declared that we will not be cutting schools’ delegated budgets, unlike many other authorities which are indicating that they will be cutting schools’ funding in a desperate attempt to balance budgets. To this end we will continue to put Welsh Ministers under pressure to release more funding and to focus our efforts now on securing additional investment for education for 2019-20 and beyond. We still have time to influence Welsh Government before the final budget is confirmed on December 19th. You can help us with this now by pledging your support via the Flintshire County Council website – it is vital that we get as many council employees, their friends and families to support this campaign. Please go onto http://www.flintshire.gov.uk and click on the #BackTheAsk banner and it will take you to a simple proforma where you can register and leave a message of support. Encourage your parents at school to do the same. The Chief Executive and Leader of the Council have written a letter to the Cabinet Secretary for Finance which is attached and we have the commitment from both Headteacher Federations that they will also write a letter of support on behalf of the Flintshire school community. We would also want you to continue to lobby vigorously through your professional associations. We genuinely believe that the school lobby has traction and persistent campaigning between now and 19th December could have a positive impact on the hearts and minds within Welsh Government. Thank you for your ongoing support and for galvanising your staff, governors, parents and local community.